"We just want to PUMP you UP! "Hans and Franz have just but one mission, they want to turn weak girly men into muscle covered gods just like them. This is why they created the show "Pumping Up with Hans & Franz" so they could inspire every single girly man out there to pick up a barbell or six to get arms just like their hero Arnold. 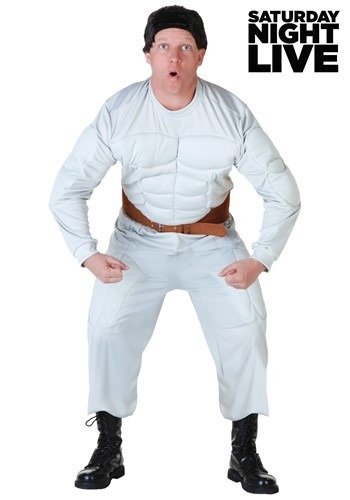 Now you can look just like either Hans or Franz when you pick this costume inspired by the classic SNL sketch. 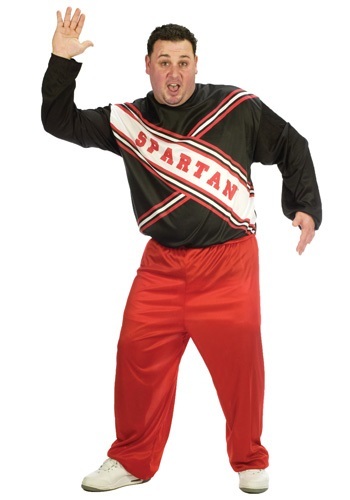 Now you can become part of one of the funniest SNL skits in history when you wear this Mens Spartan Cheerleader Costume. Ready.........OKAY! Pick up some pom poms to pair with this costume. Be the legendary hitmaker from Blue Oyster Cult when you lay the cowbell down on their most famous track. This hilarious costume t-shirt makes for an easy look! 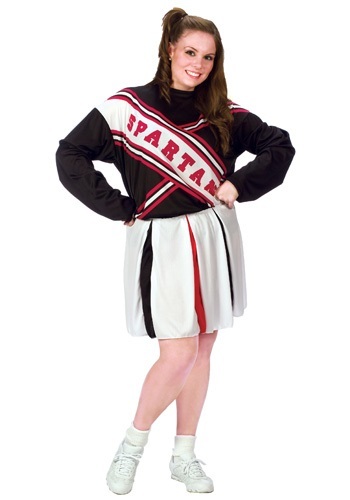 Now you can turn into the spirited Arianna who is head cheerleader of the Plus Size Female Spartan Cheerleader. Get a mens Spartan cheerleader uniform and you'll have the perfect couple to perform the perfect cheer! "Who's that Spartan in my teepee?" Become one half of the hysterical cheerleading duo! You will look like the funny Will Ferrel when you wear this Plus Size Spartan Cheerleader Costume. 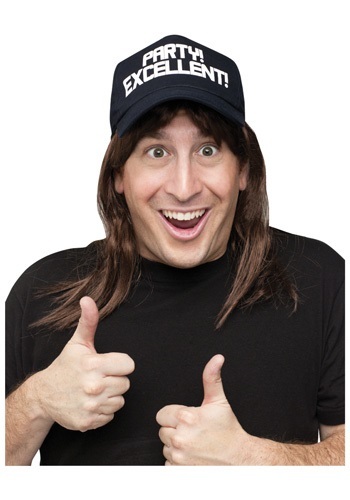 Have your partner wear the female version of this funny SNL costume. Live from your parents basement, Wayne's World! Wayne's World! Party time! Excellent! 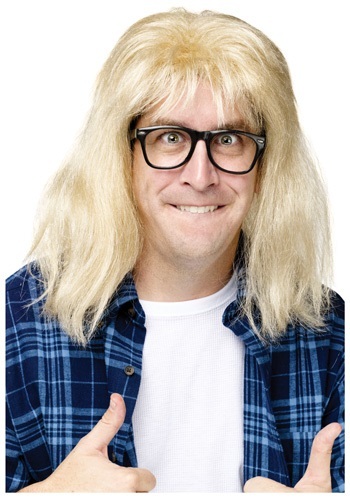 Get ready for your big TV debut with this SNL Garth Algar Wig. Who says there's nothing good on public access television. 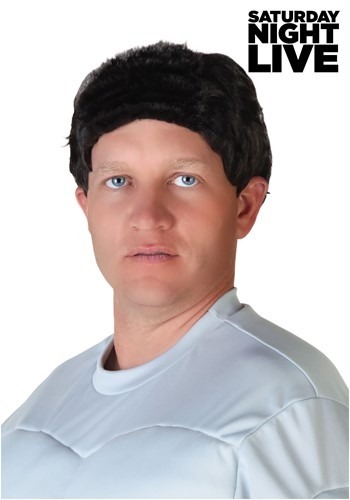 No "girlie men" allowed when you wear this licensed SNL Hans and Franz Wig! Just spend your time pumping iron and practicing your German accent. It's time for the "Perfect Cheer!" So Spartans, take formation! This Spartan Cheerleader Costume will turn you into half of the funny SNL duo. Pick up some pom poms to really make this funny costume stand out. 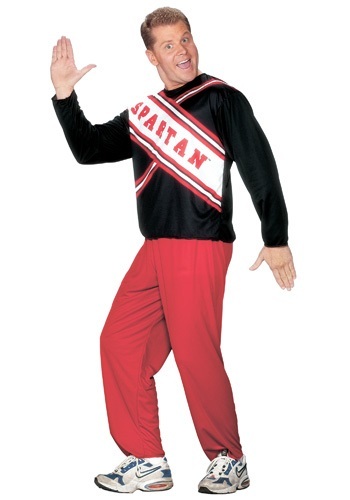 We sell the matching Spartan male cheerleader costume!